Hey you! Stop digging around for your mascara in your toiletry bag! 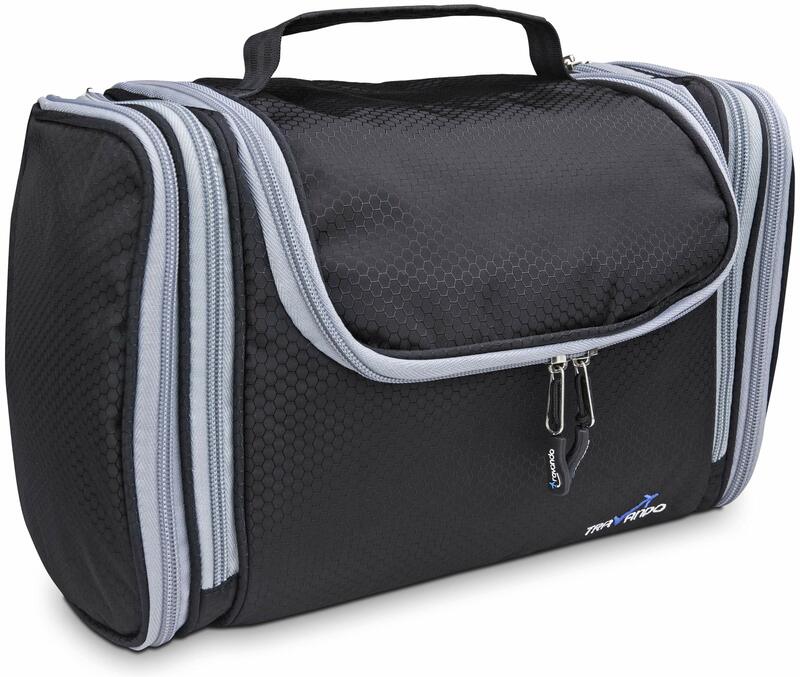 Our super-size Toiletry bag provides enough space to comfortably fit in all your cosmetics. It has a total of 5 compartments. 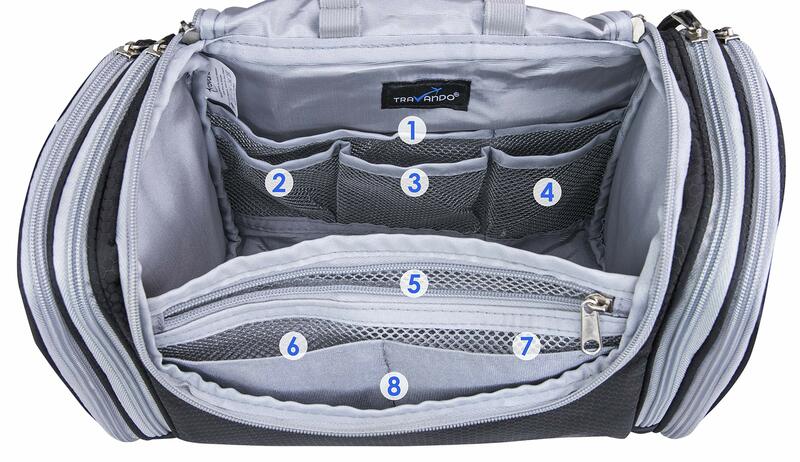 1 main and 4 side compartments that can be closed with a zipper to secure all of your items. You can either stand the bag upright or use the built-in Smart-Hook to hang it on bars, hooks and doorknobs. The handle makes it also easy to carry with you on travels. 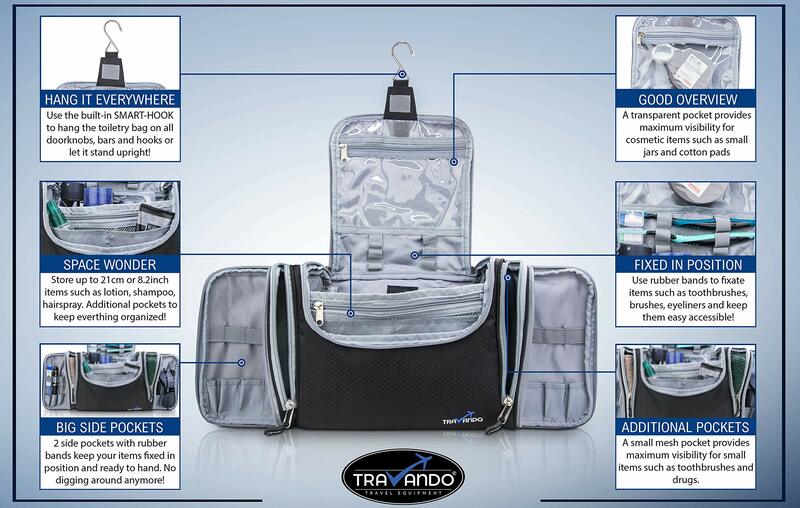 Add the Travando XXL Toiletry Bag to your cart and organise your cosmetics! 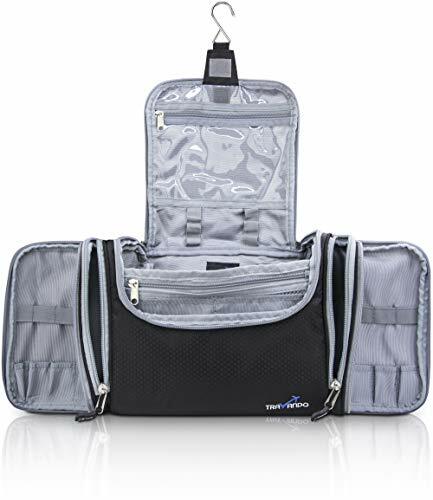 Wow this is a very nice organizer, I love how many compartments it has, there’s plenty of room to keep everything I would need in the bathroom. The handle looks comfortable to carry and the hook is a very nice bonus. I’d recommend it. Great recommendation ,just bought 2,one for son an one for us,works great and well worth the money. Great for either an over night or a week away. 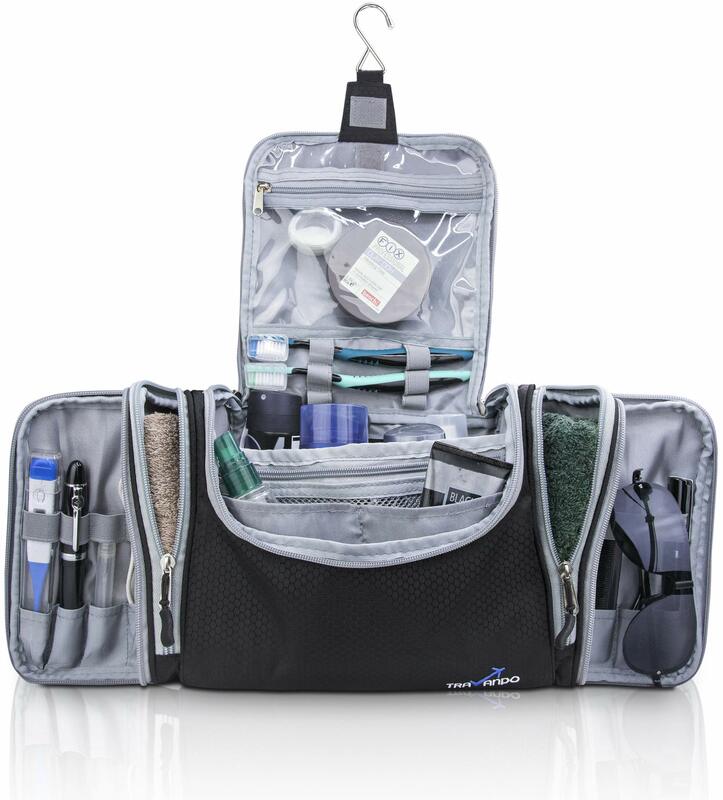 This toiletry bag holds alot. And its hanging hook makes it easy to store so your not taking up counter space.